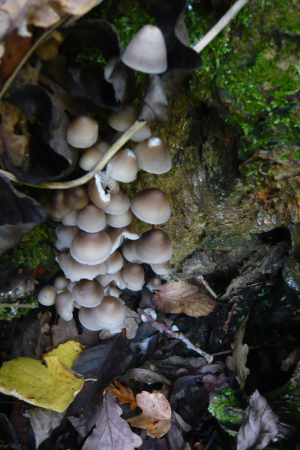 Observation - Small Fungi at Base of Oak Tree - UK and Ireland. Description: Lots of small mushrooms clustered together. Lots of small mushrooms clustered together.